Dean Allen – Motivational Historian MC was brought up in the West Country of England and was the first person in my family to go to university. Since then I have gone on to teach at leading Universities in South Africa, Australia, Northern Ireland and the UK. Since then I have gone on to teach at leading Universities in South Africa, Australia, Northern Ireland and the UK. I’ve established a reputation as a popular guest lecturer and speaker, and have presented motivational talks and keynote papers around the world. statesmen of our time, Nelson Mandela – a true leader who also saw the value of sport in uniting people and healing the past. It is a story that I feel we all can learn from. Dean is a popular motivational speaker and MC, known for his educational and entertaining style. What disadvantaged communities can teach us The business of sport Have we sold our souls? Teamwork or synergy Is the discipline of sport changing? 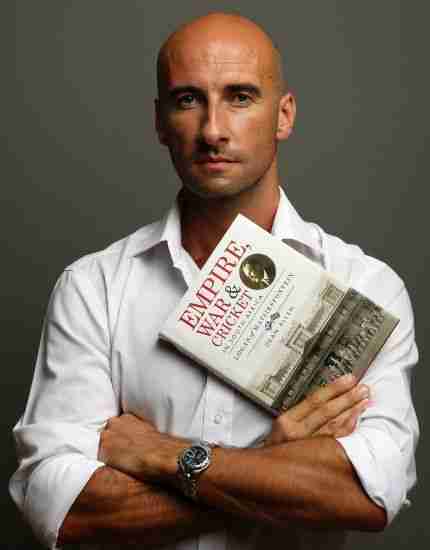 Recently released my new book Empire, War and Cricket to great acclaim.